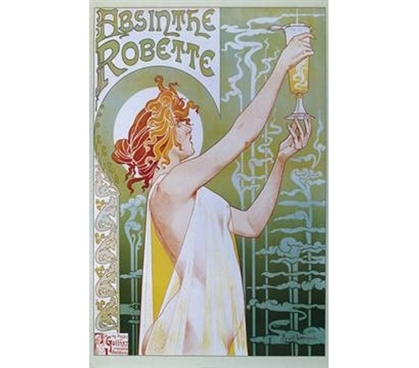 Save money on dorm decor while adding a chic complexion to your room with this 24 x 36 poster featuring Henri Privat-Livemont's gorgeous ad for Absinthe Robette. Makes for a great dorm room decoration and presents a stylishly avant-garde change of pace from your typical college poster. This cool poster is perfect for the artistic-minded college student, and is sure to gain the admiration of any who sees it. Dorm posters do not have to be all musc & movies, instead make your dorm decoration a unique and pleasant to look at artistic collection with our Absinth Robette Poster.